The keto flu is almost a necessary evil, to enter the gates of ketosis. The keto flu is your body’s natural way of reacting to the lack of carbs. Some ketoers have even described the keto flu to be similar to withdrawing from other addictive substances (e.g. tobacco). Like most people, you probably have to feed your body a significant amount of carbs most of your life. Our bodies and brain are perfectly happy with carbs and have adapted to through hormonal and metabolic processes, which normally run in the background. Switching fuel sources will likely be a drastic shock for your body, at first. In a nutshell, keto flu is a name for a set of symptoms, what you will experience, on the way to ketosis. It is not flu and it’s definitely not contagious, but it is annoying. Why the keto flu happens? For anyone, following the classical western diet, the body’s primary energy source is carbohydrates (glucose). If one changes her eating style, and starts eating fats and cuts out all the carbs, then she will force her body to start burning fatty acids for energy instead of carbs. Running on fat as the main energy source is our bodies natural backup function to survive. If our bodies switch over to running on fat instead of carbs, then the body has entered into a metabolic state called ketosis. The symptoms of the keto flu will vary between individuals. Specific symptoms may involve sniffles, headaches, irritability, muscle soreness, difficulty falling asleep, nausea, cramps, fatigue, mental fog, and moodiness. It would be beneficial to start the keto diet during a time when there’s not so much stress in your life. As this can be stressful at first. But the good news is, that this is not going to last forever. Many first-timers, during their first-week keto, experience the keto flu. And many of them often mistake it as a negative side effect and blame the diet and think that the carbs are the right way after all. Ironically this not the case. Experiencing keto flu, is a strong sign, that you are on the right track – that your body is switching from carb burning mode to fat burning mode. This is the right time to hit the gas pedal and to go full on keto even more. It takes time for our bodies to readjust to running on fat. For the average person, the not so enjoyable keto flu lasts usually up to 7 days. Of course, there are always extreme cases, where the flu can last up to 30 days, but that is very rare. Keto flu often starts already during the first days after removing carbs from the menu. Hydration is essential for your body, no matter what type of diet you are following. This may seem the most basic of the suggestions, but dehydration is a big part of the keto flu and it makes all the keto flu symptoms worse. Cutting out carbs and high amounts of fat will flush out a lot of water from your body and you will get dehydrated pretty quickly. In order to feel sane and fight against it, keep a bottle of water next to you at all times. One of the biggest reasons for keto flu is the lack of electrolytes in your body. Electrolytes affect many important parts of our bodies like water amount and muscle function. Lack of electrolytes will eventually lead to dizziness, muscle cramping, and fatigue. Just ensure, that you are getting enough salts and electrolytes. We suggest using pink Himalayan salt as well sodium and magnesium. Another good way to get enough electrolytes. Definitely a good remedy for the keto flu. Bone broth is probably one of the easiest ways to alleviate your keto flu symptoms. It is also an easy way to sneak more water into your diet together with electrolytes (e.g. sodium and potassium). Just make sure you go for very low-carb bone broth and soon you will as good as new. This may seem obvious, but one of the basics mistakes newbie ketoers do is that they simply don’t eat enough fat. In order to stay in ketosis, your body needs around 80 percent of your daily calories coming from fat. Increasing the amount of fat you are eating, will help to speed up the process and it will make you feel more satiated. Have an extra tablespoon of coconut oil in your coffee or snack some cheese or avocado. During the adaption phase, don’t worry so much about being in a caloric deficit (this can do more harm than good in the beginning). Exogenous ketones can help with fatigue and boost your energy levels by raising ketone levels. 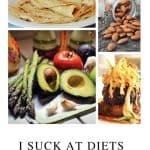 Altough keto diet does not go hand in hand with cheat days, it’s also beneficial if you have fallen off the keto wagon. They aren’t all-in-one the fix for the keto flu, but they can help with the transition process. The best value comes from taking mct’s (medium chain triglycerides). Just take it with food or mix it up with your morning coffee. The last, but not least is low-intensity exercise. Once you get up in the morning, the first ideal thing you can do to improve the keto flu is to take a bottle of water and go for a brisk walk (before eating). The idea behind a morning walk is that I help to deplete the glycogen stores in your body, thus transferring faster into ketosis. Walking just after waking up have other good benefits as well, like waking up and feeling better and more energized. As you can see, conquering the keto flu isn’t rocket science. You just need to be consistent and listen to your body. At first the keto flu can seem like a punishment, but in reality, it’s a sign that you are on a right track with your diet. Just give your body some time to adapt, be hydrated and eat more fats. Then you will be in ketosis in no time and you don’t even remember what the heck keto flu was all about. Alex Reed is an owner of Bodyketosis and a health enthusiast, whose mission is to help you to take charge of your weight and health using the ketogenic lifestyle.